Completing its current 2009/10 season Birmingham Royal Ballet is delighted to return to The Lowry, its home in the North West from 30 June – 3 July and Wales Millennium Centre from 6 – 10 July with Kenneth MacMillan’s Romeo and Juliet. 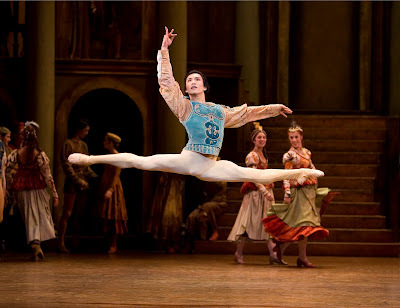 First performed by Birmingham Royal Ballet on 1 June 1992 at Birmingham Hippodrome, Romeo and Juliet, created by MacMillan, a legendary master of modern ballet enjoyed its world premiere at the Royal Opera House in 1965 performed by The Royal Ballet. Romeo and Juliet is one of the greatest love stories ever told. When young Romeo Montague tricks his way into the lavish Capulet’s masked ball and sees the young Juliet Capulet, it is love at first dance! Boldly forgoing the approval of their families, the young lovers play by their own rules and soon their dangerous seduction is filled with secrets, as the star-crossed pair hatch a perilous plot. Can Romeo and Juliet play tricks with life and death – or will death play a final trick on them? With a sweeping score composed by Sergei Prokofiev performed by the Royal Ballet Sinfonia and soaring MacMillan choreography for a cast of over 60 performers, Romeo and Juliet promises to appeal to both first time attendees to the ballet and ballet aficionados alike. Opulent designs are by Paul Andrews and lighting is by John B. Read. 2010 marks Birmingham Royal Ballet’s 20th year in the City of Birmingham since the company (then Sadler’s Wells Royal Ballet) moved from London in 1990, a move the press at the time described as ‘the arts coup of the decade’. Twenty years on and Birmingham Royal Ballet is delighted to perform Romeo and Juliet during its anniversary year at The Lowry in Salford and Wales Millennium Centre in Cardiff. 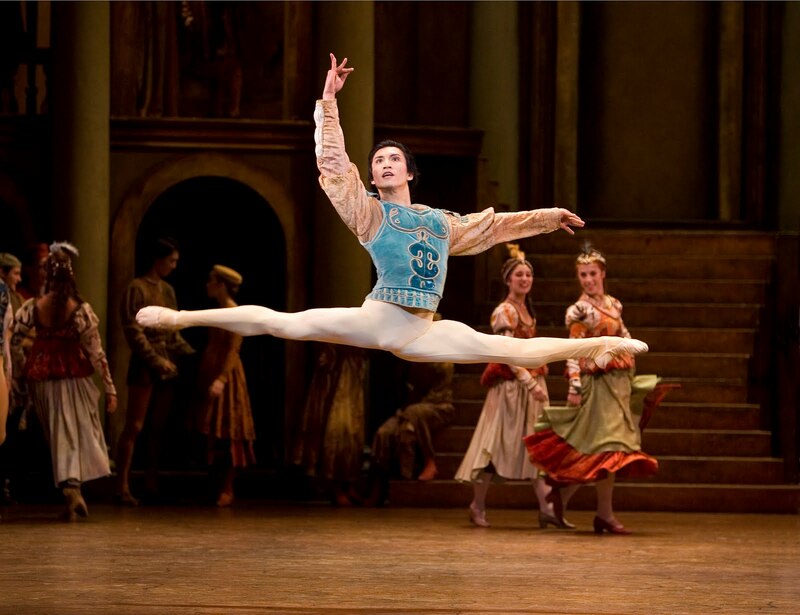 Romeo and Juliet returns to Birmingham Royal Ballet’s repertory in autumn 2010, performing in Birmingham, Sunderland, London and Plymouth. Any performance of Romeo and Juliet is a Feast. Birmingham Royal Ballet's choice of Romeo and Juliet to mark its 20th anniversary in this city is a ramarkable one. Very lovely blog. I love the ballet! I'm glad you stopped by my blog so I could find yours!!! !